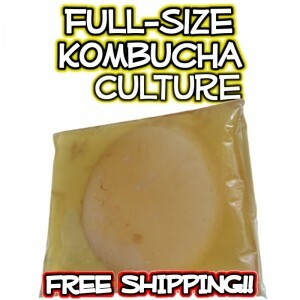 Organic Kombucha Cultures Shipped Fast and Free! 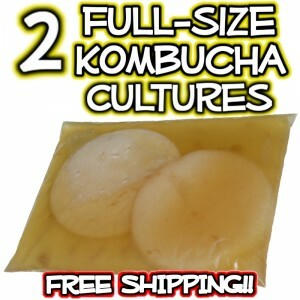 Remember, FREE SHIPPING on all KOMBUCHA CULTURES & KITS! The Classic Brew Now Kit has been UPGRADED! More supplies, plus the e-Guide. even lower price when you buy 2. Kickstarter is the Queen of kits. 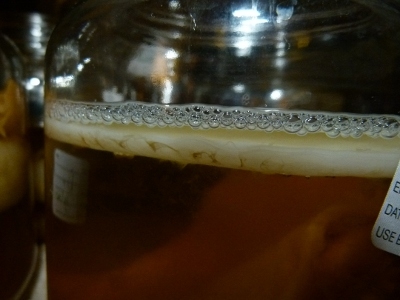 Kombucha cultures are living things that are put into sweet tea. The Kombucha cultures ferment and convert the sweet tea into Kombucha tea. A Kombucha culture is probably best known as a Kombucha mushroom, though it may also be called Kombucha starter, Kombucha SCOBY, Kombucha Mother or even Kombucha Baby. But these are all the same thing! Kombucha Mushroom is actually a misnomer, it’s not a mushroom at all but a “pancake” of bacteria and yeast called a Kombucha SCOBY (which stands for Symbiotic Culture of Bacteria and Yeast). The name of Kombucha Mushroom probably comes from a misinterpretation of the original Chinese name, but it has stuck, and now many people call it Kombucha Mushroom Tea. Okay, enough about the name, let’s find out how easy it is to make Kombucha Tea! with instructions and lots of pics! This is the standard recipe for 1 gallon. brewing vessel – glass, stainless steel or oak – you can use food grade plastic, but what with BPA’s, I prefer glass! Add Kombucha mother. Then add Kombucha starter liquid right on top of the SCOBY. Set in a warm location out of direct sunlight and away from aromatic or greasy food preparation. Third Task: Your Kombucha Brew Begins. You Do Nothing. After 7 days, or when you are ready to taste your KT, gently insert a straw beneath the newly formed Kombucha SCOBY and take a sip. If too tart, then reduce your brewing cycle next time. If too sweet, allow to brew for a few more days, tasting every day or so until you reach your optimum flavor preference for mature Kombucha Tea. Properly brewed Kombucha has a slightly sharp (acidic), not sweet taste. Brewing cycles can vary quite a lot but are normally between 7 days to 2 weeks, though they can be longer under certain circumstances, especially cold. A cycle or two may be required to determine the ideal taste/time/temperature combination, but you will get the hang of it quickly. Then it’s time to bottle your delicious, healthy Kombucha tea. With clean hands, remove both kombucha mushrooms (the new Kombucha baby culture that formed and the original Kombucha mother) and place in a clean bowl. Ladle or pour 2 cups of liquid from the top of your brew over the kombucha cultures. This is your starter liquid for the next batch. Cover your cultures with the cloth cover and set aside for the next brew. Find clean, suitable bottles with tight fitting lids. Place them in the sink. If you are flavoring your Kombucha Tea, place those flavorings directly into the bottles. Flavoring ideas here. Place a funnel in your first bottle and ladle or pour the Kombucha Tea into the bottle. Fill to the top for increased carbonation. Repeat for the other bottles, but don’t drink the brown yeast dregs at the bottom, just dump the last 1-2 inches out. You may choose to strain the brew of any small pieces of kombucha culture or yeast at this stage, though I don’t find it to be necessary. Screw the lid on and set aside 1-3 days, burping your bottles to let our carbonation and prevent explosions. Move your flavored bottles of kombucha tea to the fridge when they’ve reached the carbonation/flavor you like. Repeat for your next batch, and adjust as necessary. Drink as desired. Start by drinking 4oz of Kombucha Tea on an empty stomach in the morning and see how your body reacts. Try again that evening. If it’s going well, try it 20 minutes before a meal. Listen to your body, drink lots of water to aid the detox, and if you crave more Kombucha, have some more. But like anything don’t overdo it! Kombucha Tea does contain small amounts of caffeine, as it is made from tea. However, Kombucha generally contains only about ⅓ the caffeine of a similar cup of tea. In my guides I teach techniques to dramatically reduce the caffeine content to nearly zero. More about Kombucha & Caffeine here. How much sugar does Kombucha contain? Again, this varies based on Kombucha recipe and ferment time, but most Kombucha Tea will contain less than a teaspoon of table sugar per glass, and it is possible to ferment longer with the Kombucha culture until the Kombucha Tea is essentially sugar free. Can I find a good Kombucha starter culture for sale online? Although you can find lots of places online that sell Kombucha SCOBYs, not all SCOBYs are created equal! 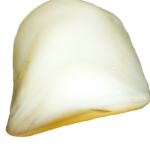 Don’t be tricked into ordering low-quality SCOBYs that are not freshly shipped to you. While dehydrated SCOBYs may seem like a good choice, keep in mind that they’re also very susceptible to mold. Why waste all your time and effort brewing Kombucha if you end up having to throw it away and start with a new culture? Or store carries Kombucha SCOBYs for sale that are full-size (none of this test-tube size nonsense), 100% organic, shipped with REAL starter tea and best of all, we pack it the day of your order to preserve its freshness. What kind of tea is best for making Kombucha? Nearly any kind of tea or herbal infusion can brew a successful Kombucha batch, but for long term health of the kombucha culture, a mix of green and black tea does best. I offer Hannah’s Special Tea Blend for Perfect Kombucha, a tried and tested recipe for the best Kombucha Tea. I’ve heard it’s best that the Kombucha Mother stay warm. How can I do that? Kombucha heating mats have always been difficult to use and inefficient, so I decided to invent my own Kombucha heating pad that takes the hassle out of maintaining proper brewing temperature. Can I make it fizzy like the stuff I get at the store? I outline beginners techniques for increasing the carbonation in your Kombucha Tea in my free e-book, but I recommend trying the first couple of batches without these tricks and you may find the low levels of natural carbonation are enough to please your taste buds. That said, my techniques are tried and tested, so much so that you have to be careful too much carbonation doesn’t build up and lead to an accident! Why are there so many names for Kombucha? Kombucha Tea sure has had some funny names over the years. In Russia, they call it Tea Kvass or Grib. In Japan it’s called Fungus Japonicus, in France Champignon de Longue Vie (Tea of Long Life), Manchurian Mushroom Tea. My mother in law calls it Kambucha, which is a lot better than some of the crazy variations I’ve seen on the web: Kombacha, Kambucha, Kumbucha, and of course the most famous misspelling, Kombuha. Oh “c” where did you disappear to?! lol. Whether you call it Mushroom Tea, Kombucha Mushroom, Kombacha, Kambucha, Kumbucha, Kombuha, Tea Kvass, Fungus Japonicus, Manchurian Tea Mushroom, Champignon de Longue Vie or just plain bacteria and yeast, look no further, you can find Kombucha mushroom tea starter cultures here. Having properly-brewed Kombucha (that is both raw and organic) at home is a wonderful gift to your body, mind, spirit and soul. Try Kombucha starter cultures for yourself and see what changes you notice.